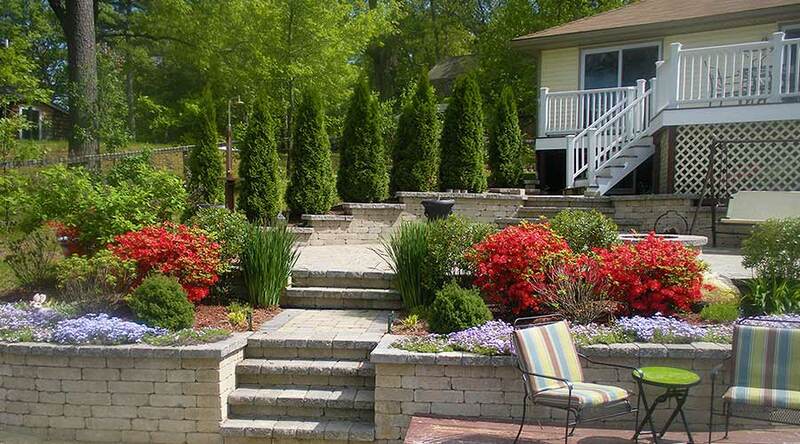 At Courtyard Concepts, our retaining wall design process is all about you—your lifestyle, family needs, and budget. Whether it is old-world stone, modular block, or wooden landscape timbers, we’ll put our creativity and knowledge of walls, stone and modular block to work for you. Retaining walls are a great addition to floral landscapes and garden areas and we guarantee you will be amazed with the final product. We can also repair or replace your existing wall if it needs work or an overhaul – no matter how big or small. Crafting a landscape wall that’s beautiful to look at, highly functional, and easy to maintain is our goal. We’re proud to use eco-friendly products and authentic materials that protect and support our natural systems. Integrate a wall or ledge into your overall landscape or backyard design for attractiveness, functionality, elevation or dimension. Give your guests a place to hang out on a sitting wall in your garden where you can relax and enjoy the outdoor beauty and elegance. Retaining walls can be built for many reasons: to create a charming area for a patio or garden, water retention, reclaim unusable areas of your property or construct level areas for patios, decks, pools or structures. Courtyard Concepts will handle the total process, from the initial retaining wall design, to the grading and professional retaining wall installation. With structural strength in mind, we have the capability to handle both small and large residential/commercial retaining wall systems. Courtyard Concepts designs and installs natural, eco-friendly, and modular block retaining walls to residential and commercial properties. We offer expert craftsmanship, quality products and detailed project management with a consistent focus on budget and design objectives. Our team is committed to providing outstanding customer service and is always excited for the opportunity to meet with homeowners. 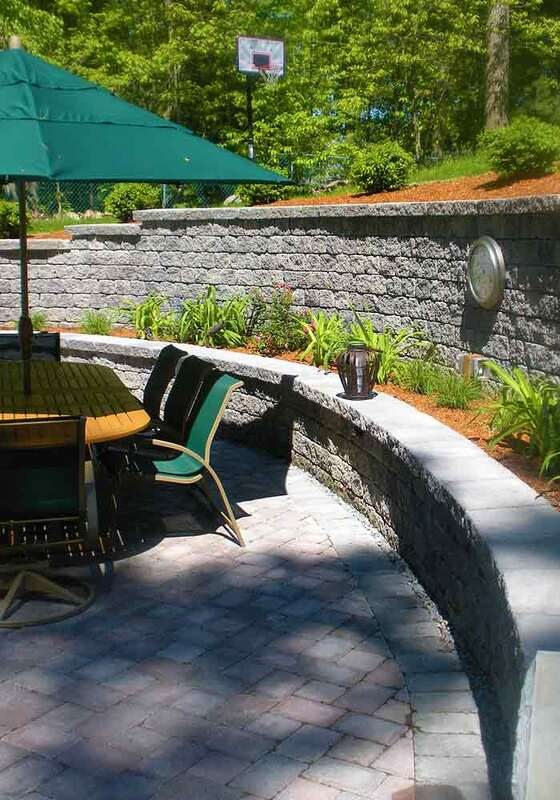 Contact Courtyard Concepts today @ 978-256-5454 for a complimentary retaining & sitting wall design and installation estimate. To view more images of our stonework, visit our retaining walls portfolio.